Theft of smaller paper birch trees, saplings and limbs are common, with buyers paying up to $2 per pole. Wardens from the Wisconsin Department of Natural Resources estimate that a prolific poacher can make hundreds of dollars per day with no investment other than a pickup truck and hand saw. Private, tribal, county, state and national forests in northern Wisconsin, Minnesota and Upper Michigan are all facing this birch theft. In response, representatives from tribal, county, and state government, along with the Great Lakes Indian Fish & Wildlife Commission, law enforcement agencies, and birch wholesalers and buyers established a committee to address birch theft. Additionally, recent media attention is prompting calls to law enforcement as people recognize and report this illegal activity — some offenders are being prosecuted for timber theft. A tribal treaty right to gather material on public lands in ceded territory complicates the issue of paper birch theft. Illegal harvesting is generally conducted by non-tribal members, but treaty rights present a complex enforcement issue. Tribal members can harvest up to 75 lodge poles per day on some public forest lands with the appropriate permit, but the potential impact of over harvest on the regeneration and growth of birch is a concern. On tribal lands, members are expressing concerns for the resource after seeing truckloads of birch leaving reservations. The Bad River and Lac Courte Oreilles reservations have birch harvesting moratoriums in place to reduce commercial harvests, impacting the treaty rights of those gathering these trees for personal or cultural use. In the larger picture of Wisconsin’s forest products industry, the volume of birch theft is very small. However, illegal cutting steals future revenue from forest land owners, and destroys trees that will never be legally cut and sold. Additionally, these thefts reduce the future birch supply available for harvest and sale into the traditional forest products industry for uses like pulpwood for paper production. Wisconsin's 16.5 million acres of timberland supports a total growing stock of 22 billion cubic feet for all tree species. The growing stock of paper birch makes up a small portion of this volume, about 2 percent of total growing stock. While paper birch's annual removal in the form of legal harvests is 13 million cubic feet, the species has a negative net annual growth rate. This means the state is losing this forest type as other tree species take their place through natural succession. This negative growth rate is happening for several reasons. Paper birch is an early successional species; it needs full sun exposure and disturbance to thrive. Larger clear cuts of past years provided each, but this harvest method has declined over time, with a consequence of decreasing birch regeneration. Other reasons for the tree's declining numbers include high mortality caused in recent drought years, and from insect and disease pressure. It is important for consumers to ask questions when making purchases. Where did the wood come from? Was it legally harvested? In traditional wood markets, timber theft has been an issue for export lumber for many years. Consumers in the United States and Europe had concerns about illegal timber and ceased purchasing lumber from certain African countries where illegal cutting is rampant. Both the U.S. and the European Union have laws that prevent the import of illegally harvested timber products. In the U.S., the ongoing Seneca Creek Study has shown due diligence can demonstrate the legality of harvested timber, a requirement for exporters hoping to sell American lumber into Europe. In the rare cases that theft does happen, legal systems are in place to deal with the issue. Birch theft is the unfortunate result of consumer demand, unscrupulous harvesters and buyers. Local awareness and media attention will help restrict this activity, and efforts by the working committee in northern Wisconsin may provide other solutions. 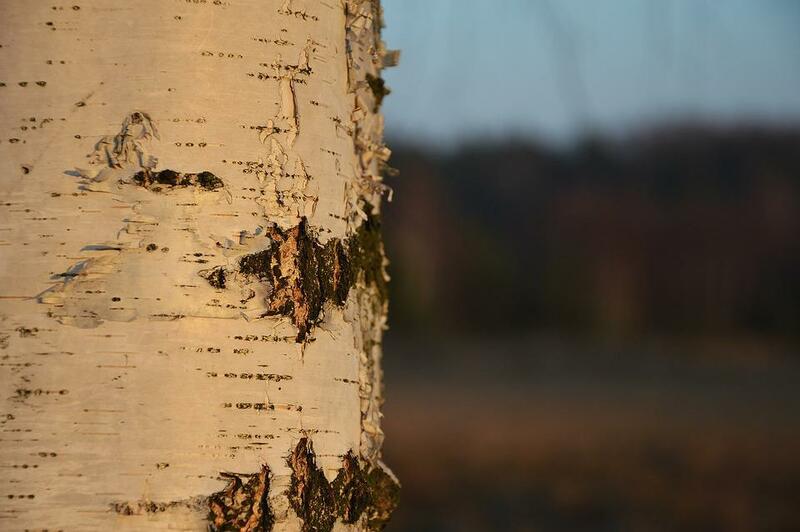 Paper birch is an important forest component that should be managed for future generations.